Also known as melaleuca, this herbal, airy, woody smelling tea tree oil comes from the melaleuca tree. 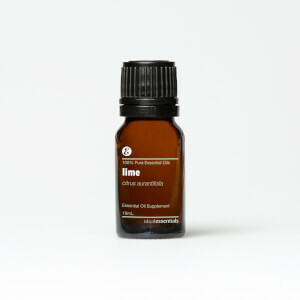 Tea tree oil is hailed for its cleansing benefits, ranging from supporting healthy skin and supporting a healthy immune system, to helping clean home surfaces and purify air. Using tea tree oil is super convenient and versatile. You can add it to a facial cleanser, massage it onto the skin, or due to its pleasant aroma, diffuse to freshen any room. IdealEssentials Tea Tree Oil is designed with tea tree oil sourced from China and extracted through steam distillation, which involves the flow of steaming the raw plant material, causing the plant to release its oil. Whether it’s a dirty granite counter you’re trying to clean, some air you’re trying to freshen up,or if you’re trying to soothe occasional skin irritations, IdealEssentials Tea Tree Oil offers the boost you’re looking for. It’s the perfect addition to your cleaning and skin-care supplies. If you struggle with occasional skin irritations and you’re looking for some help, rest assured. One of tea tree oil’s biggest advantages is its gentleness, making IdealEssentials Tea Tree Oil a great tool for helping soothe skin sensitivities. Life can get messy. IdealEssentials Tea tree is oil is a multipurpose cleanser, making it a great go-to for helping clean surfaces at home. In addition to it’s cleansing and soothing benefits, IdealEssentials Tea Tree Oil is also used in diffusers to help freshen up the air.